If you have already mastered the standard ketogenic diet, have a solid workout routine and would like to mix things up a little, you might want to consider starting to do carb ups, or a cyclical ketogenic diet. A carb up (also called “carb loading” or “carb refeeding”) is a period of time, usually 1 day (but it could be as short as 1 meal or as long as 2 days) where you’re intentionally consuming more carbs than usual. 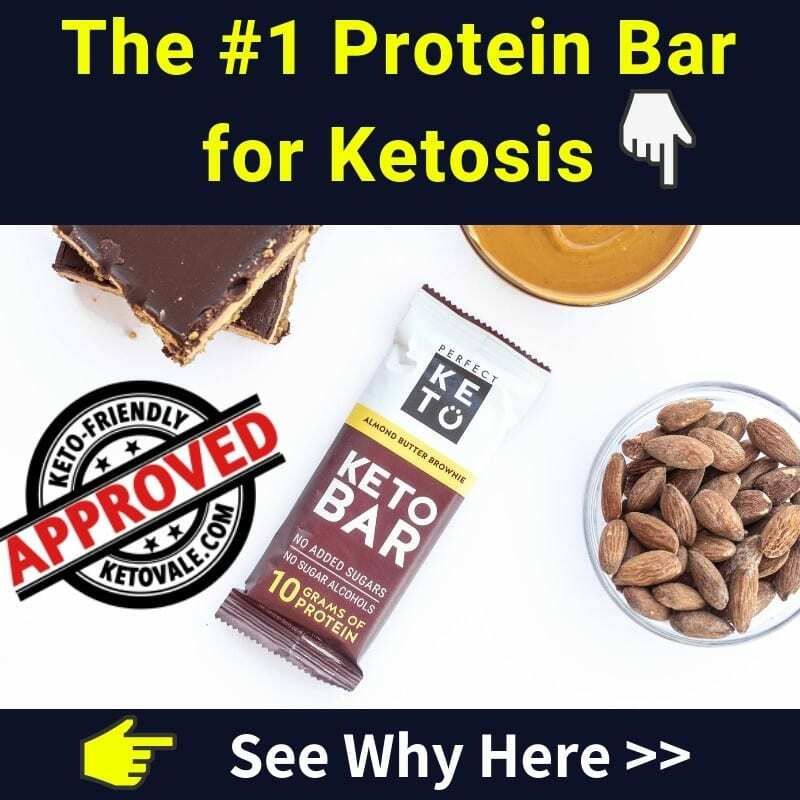 Yes, this will kick you out of ketosis and this is the purpose – find out why below. Warning: carb up practice is NOT for everyone. You need to understand your body and your goal first. If you’re a beginner, this is absolutely NOT recommended. Carb ups can serve a few purposes: break a weight loss stall, improving hormonal balance, enhancing muscle growth, increases energy expenditure and leptin concentration (1). To get the full benefits of a carb refeed, you need to do it in a controlled manner, in order to make sure that you get back to keto right after that, and that your carb up weekend does not turn into a carb up week or month. You should consider doing carb ups on a keto diet only once your body has adapted to burning fat as its primary fuel source, which for most people comes after at least 4-6 weeks into their new ketogenic way of eating. If you start doing carb ups earlier, you risk getting keto flu all over again, and your body will need to restart the fat adaptation process, which can be a generally unpleasant (and unnecessary) experience. Carb ups might awaken your carb cravings, so you need to be extra careful if you’re prone to having strong cravings in the first place. In order to keep those at bay in the days after the carb up, you might want to check out our tips on how to deal with carb cravings. Whenever you’re doing a carb up meal, you need to keep the fat lower than on keto, because your body can either burn glucose or fat, but not the two at the same time. You should still watch your calories, although staying at a deficit during a carb up might be quite challenging. If you don’t manage to, then try upping your limit to maintenance. If you are properly timing carb ups, they can help with muscle growth, and for those of you who want to optimise your body composition and gain muscle, this can be an amazing benefit. You will be kicked out of ketosis because you’ll likely go over your personal carb tolerance for ketosis. You can check our tips to get back to ketosis after carb up. You will likely gain some water weight. There are different ways to do carb ups, all depends on your goals, needs, and your body. You would need to experiment with them a bit to find your sweet spot. #1. Eating keto Monday to Friday, doing a carb up on Saturday and going back to keto on Sunday evening. Most people decide to do carb ups during weekends for convenience reasons, as it gives them some more liberty in their food choices when going out with friends or family. #2. Following your keto menu from Monday to Friday and doing a weekend carb up. #3. Eating keto the whole week with a carb up meal on Thursday and on Sunday. #4. Eating keto all the time and doing an occasional carb up when you feel the need for it (once a week or once a month or every few months). You could also try a two-week cycle, i.e. eating keto for 12 days and doing a carb up on the second weekend. Carb cycling is best done in addition to a steady workout routine, as full glycogen depletion before the carb up will give you the best results. Carb ups should ideally match your workout routine, in a way that you’re fully depleting your glycogen the day before the carb up. This can be achieved with a heavy workout. The carb refeed will then replenish your glycogen stores, which will enhance your performance in the next couple of days, until you deplete them again. This will give you the advantage of being able to train harder and will boost up muscle growth. What to Eat During a Carb Up? Remember one thing: carb ups shouldn’t be an excuse for cheating on keto. You shouldn’t use a carb up to stuff your face with whatever high-carb food you might have been craving. While a carb up will give you much more flexibility than eating keto, whole foods that have a lower glycemic index will give you the best results (and will provoke less cravings overall). 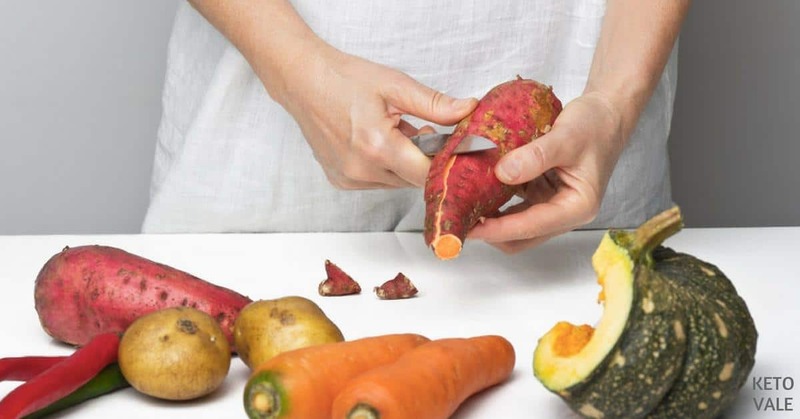 Some healthy carb options to consider would be carrots, sweet potato, black beans, quinoa, apples, bananas, oatmeal, whole wheat pasta, and so on. Your carb-up meal should be the last meal of the day because you will be sleeping and avoiding the post carb cravings and blood sugar highs and lows. For dessert, you could have a serving of some fruits you like, for example apple, watermelon, pineapple, orange, or even a banana. Of course, you could have something completely different. These are just examples to give you ideas. Our advice is to stick to whole, natural foods even for your carb ups. Junk food will just leave you feeling unsatisfied, hungry, and possibly craving even more carbs. Should You Do A Carb Up For A Single Meal, Or Eat More Carbs For The Whole Day? It depends on your goals, and also on how well you can handle carbs and control your cravings, should you experience any. For most people, doing a carb up that lasts for the whole day (or weekend) can be challenging, as it might awaken your carb cravings, and make it very difficult to not eat more than what you have planned. The ketogenic diet naturally suppresses hunger, but when you eat more carbs at once and thus kick yourself out of ketosis, you might suddenly find yourself much hungrier than expected. Combine that with strong carb cravings, and it could be a recipe for disaster. Which is actually why cyclical keto is so challenging! If you can control yourself and know that you can go back to keto after a day of eating more carbs, then theoretically you could have carb up days. Just be mindful of your calorie consumption and stick to your plan. Having a single meal that is higher in carbs will generally be easier to manage, especially if you have it in the evening, and sleep through the short-term side effects. Combine that with a heavy workout on the next morning, and you’ll see why carb ups can be beneficial. Alternatively, you can have your carb up meal right before your workout, to replenish glycogen stores, which will likely lead to a better performance in the gym. You could also have it after your workout, as this is when muscles are particularly sensitive to glucose (1). Occasional strategic carb load on keto can be beneficial, according to our friend Leanne Vogel, Nutrition Educator from Healthful Pursuit. Leanne is bestselling author with her latest book The Keto Diet. She has helped many women achieve success with ketogenic diet from her programs such as The Keto Beginning and Balanced Keto Weekly Meal Plans which also include carb-up meals. In addition to boosting performance, strength and muscle growth, carb ups might also positively affect your hormonal balance after long periods of dieting, which might be an important thing to consider, especially for the ladies, whose hormones seem to be generally more affected by weight loss. Maintaining a deficit for a long time can be quite taxing on the body, regardless of the specific type of diet. After dieting for a couple of months, you might notice some side effects, such as temporary hair loss, general fatigue, unstable moods. This might be a sign that you might want to up your calories for a week, and you might also want to integrate a carb up into it (but just for a day or two), in order to maintain metabolic flexibility. If you do carb ups properly, that is, not cheating, going back to keto right after the carb up, working out, and tracking macros and calories, you could see some great long-term results in terms of body composition and hormonal balance. The best way to see if this strategy works for you is to try it out – and don’t forget to let us know how it went! Bottom line: Carb-up practice might be beneficial to many individuals but might not work for everyone on a ketogenic diet especially if you are new to keto. You must become fat-adapted first before trying to experiment with carb refeeds. You need to decide if this is good for you. There’s no one right answer so find out what works for you.